Check out this article and video, its really interesting where this technology is going. Maybe one day soon I will be able to use my hand to do more things like hold a knife or scissors or even hold the nailbrush to paint my nails on my left hand !! 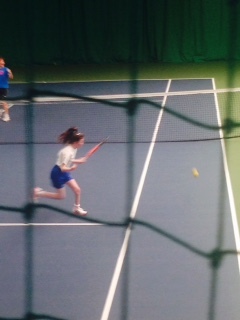 Last week I represented my school in the school tennis competition and we won ! I played 4 matches. We got in to the semi- finals, which we won ,so then we were in the finals. We were in the finals with Riverside, they were really good. We actually drew our game with them but my school managed to get the extra points to win. So we won. i just want to say a great big thank you to Miss Gerard for organising it she did a great job. And also a thank you to all the other schools for giving it their best shot, you all did great. Also a thanks to Thea and Max & Nicolas my team mates in THE A TEAM. 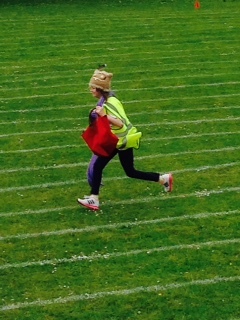 The next day was sports day which I took part in the sprint, my class mates gave me a small head start which was really good of them. 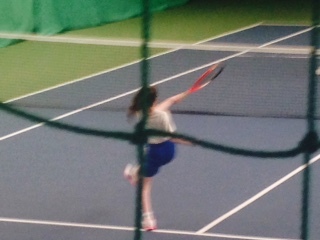 I had a good go but didn’t manage to win, never mind. Keeping the medals flowing in our house my Bro Koby won the sprint and my mum won the Mums race. We also had some activities and team races, this picture was a race where we had to get fancy dressed whilst running. We had a great response with lots of kids from all over the North West and we even had a very special visitor from Devon. Harrison had travelled all the way with his Mum and Dad to hear about 3D printing and to get measured up. We had another visitor Drew Murray all the way from Milton Keynes. 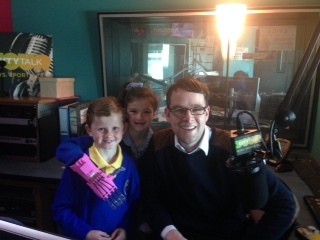 Drew had heard about our project and has built a number of 3d hands for children and was on the TV before me to talk about them. He came to share his knowledge and he knows a lot about how to measure and size the hands for the best fit. 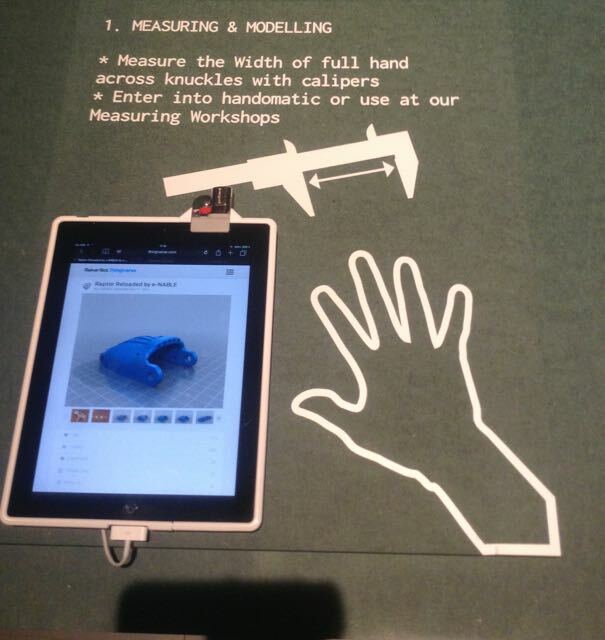 He even had a 3d scanner and used it to scan my hand and Koby’s face ! 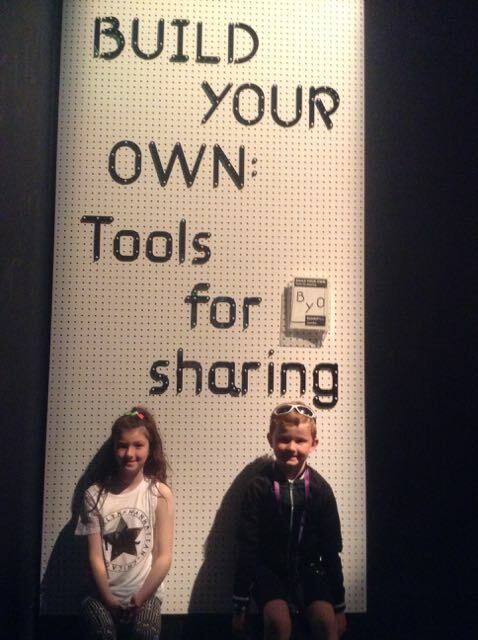 I’m really excited to see my friends & anyone new that comes along to Fact Liverpool today. 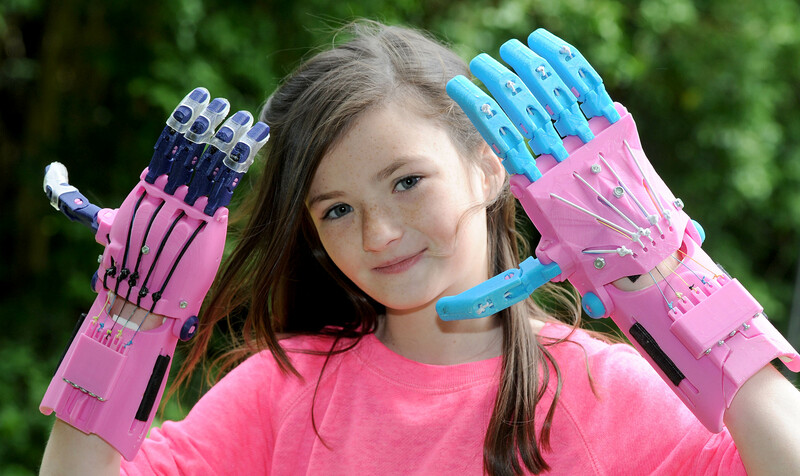 Along with DoES we are holding 2 workshops at 12 & 2pm where people can get measured and learn about 3d Printing and then over the next 3 months Adrian, Ross & Patrick from Does Liverpool will print the hands before we come back to build them together. 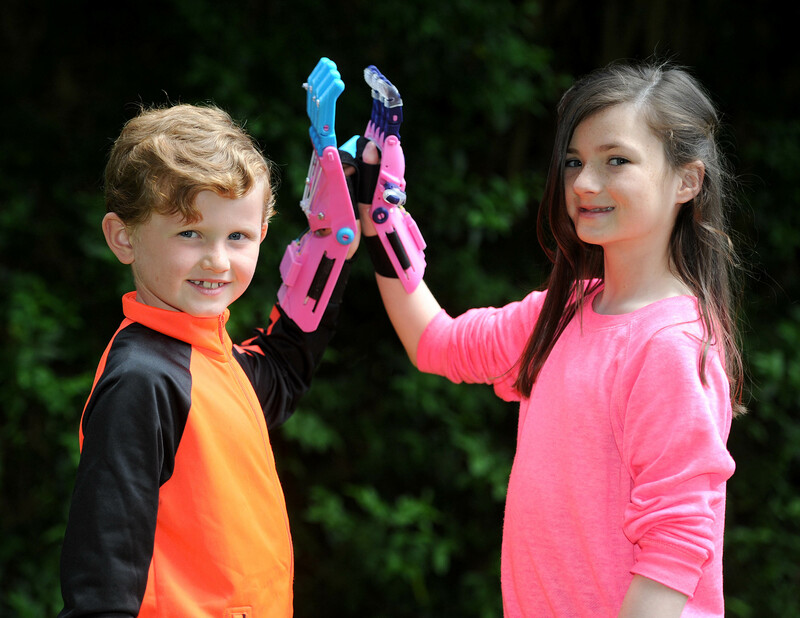 Categories: 3d printing, Uncategorized | Tags: DoES liverpool, fact | Permalink. We had an amazing day yesterday. We got up early and went up the radio city tower for 8am. 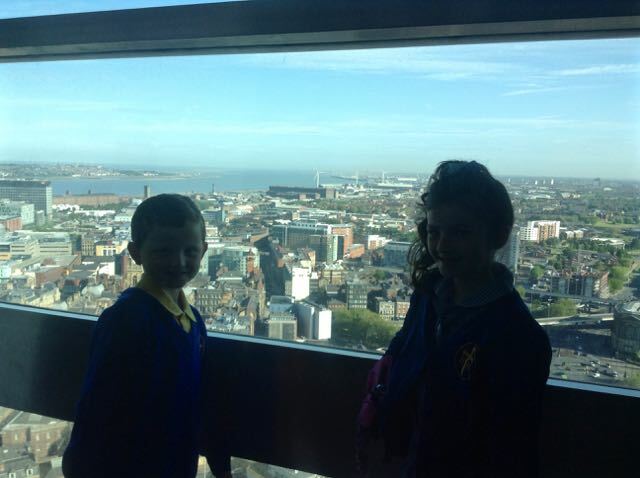 We had an amazing view of the Wirral and Liverpool from the top of the tower. It was a clear sunny day and we could see for miles. Mick Coyle the presenter who was so cool and friendly. He made us very relaxed, it is amazing how chilled they are in between talking on air, its like they have all the time in the world but really every second counts. Imagine A BIG SILENCE ! if Mick was talking to us and showing us the sights. It didn’t happen but that would have been funny. After that we went in to see Leanne & Dave and have our picture taken. They were also really cool and I always listen to them when I wake up. 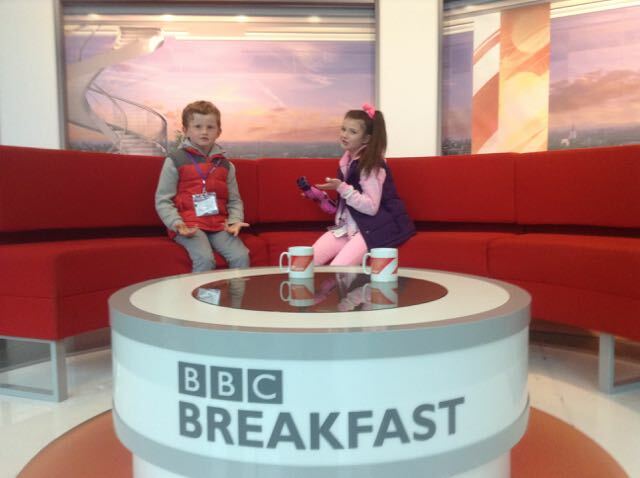 They get up at 4am to do their show, Wow ! We knew we had to get to Radio Merseyside for 8.30 but were still with Leanne & Dave at that time. Dad had to tell them we had to go and they joked that we couldn’t so we would be late for Tony Snell. 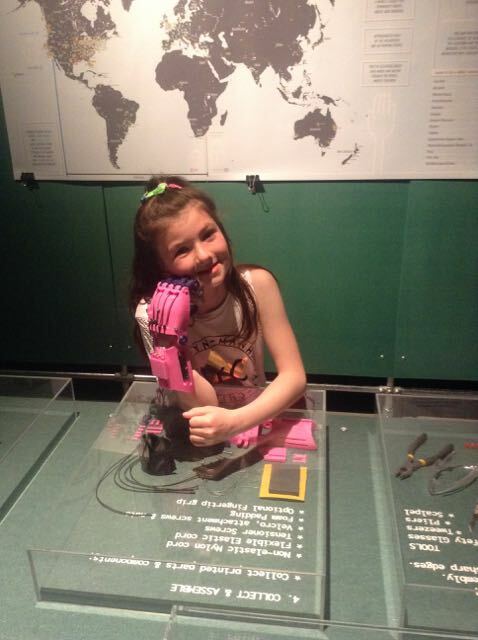 Categories: media | Tags: 3d printing, amazing day, Mick Coyle, prosthetics, soundcloud | Permalink. I had the most amazing day yesterday, it started as soon as we woke up. The phone at home was going crazy with the press wanting to come and take pictures and interview me. At 7.30 we had a photographer at the door & me and Koby thought it was Ed Sheeran (sorry Iain). He took lots of great pictures adn Mum was in a flap as she hadn’t done my hair!!! 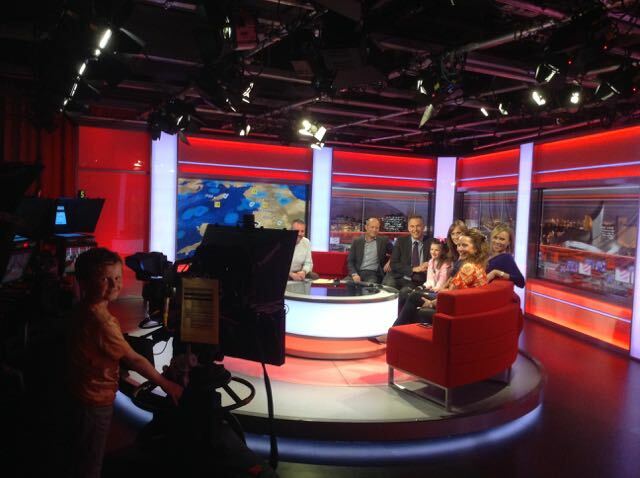 I then went to school and Mum phoned me at School to say we were going to go on Tv that night! We were picked up early and when I got home Radio City were there to do an interview, the lady Roisin was so lovely and made me relax. The excitement didn’t stop there, we were picked up in a big people carrier and taken to pick up Adrian from DoES Liverpool and we all went to Media City Manchester, what a place. We were so excited, Nazia who is the producer of NorthWest tonight came to meet us and took us up stairs, there were lots of desks and computers and everyone looked very busy. We saw the sports section where they do the live sports news and then went up the chill out area outside the studio. 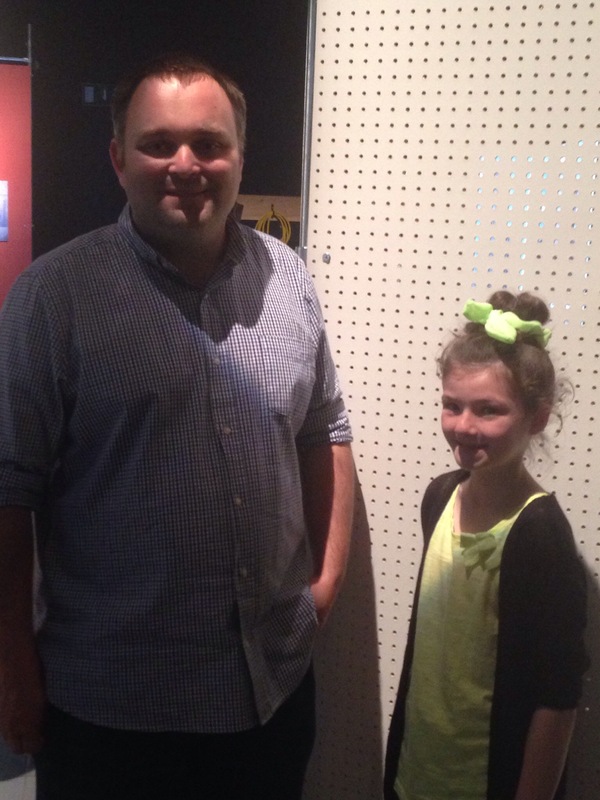 When we went into the studio we met Roger and Annabelle who were so nice, infact everyone was from the man who gave us our microphones to the camera man who gave Koby a lesson on how to film. The interview went really well and I was relaxed. Dad was a bit nervous and said he got choked when he heard me talking so well. 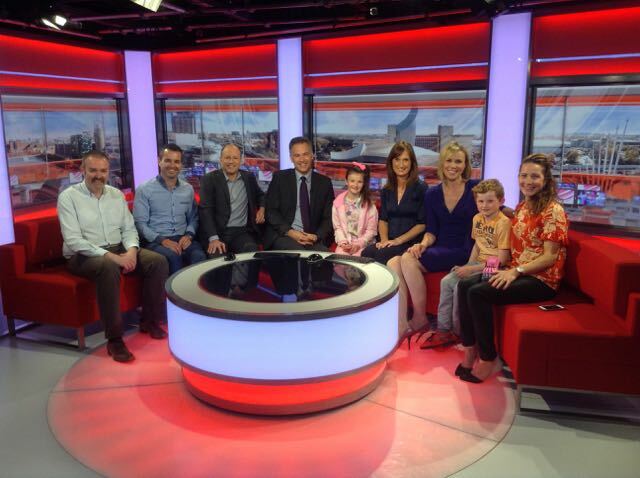 After the interview we all got to go back in and have our picture taken and have a chat. 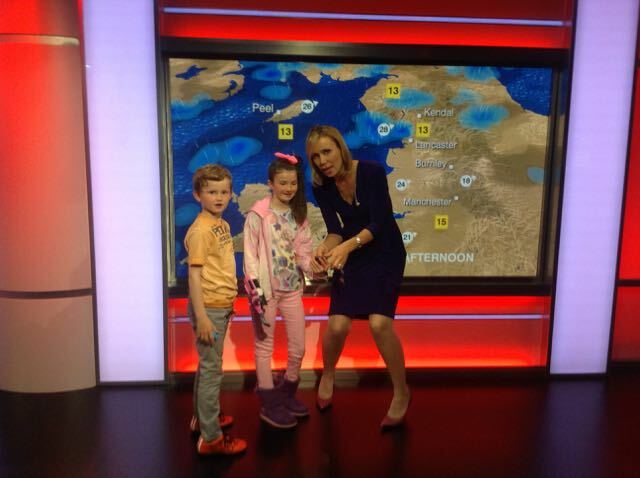 Diane let us do the weather and Koby had a go, I couldn’t help but laugh when he said it was going to be windy, it’s always windy when he’s had beans!! We got a lift back and dropped Adrian back at DoES so he could set the 3D printer off printing some more hands ready for the exhibition this Thursday at Fact. We couldn’t sleep when we got home so Dad helped me do this. Im off to bed now. 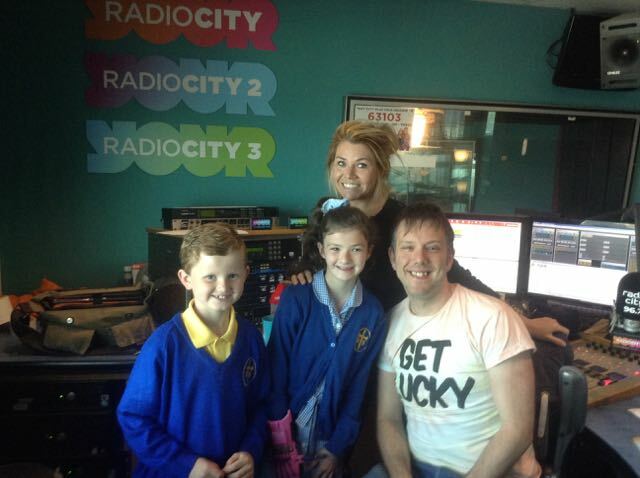 I think Leanne & Dave are calling from Radio City tomorrow for a chat! Nite Nite.